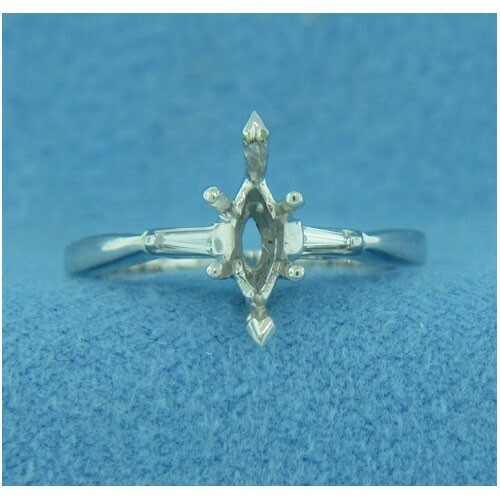 Ring can be made for different size center diamonds with different size tapered baguettes. All prices are based on size 6. Rings are available in various sizes which may require price adjustments based on the configuration of the ring. Total carat weight may vary from pictured item, depending on the configuration of your ring.